The colors are just there as an ease-of-use tool. What really matters from a functional standpoint is what cable is connected in the jack in what position. Electrically the colors of the wires make no difference. It will require care, but you can identify the wires per pair by "ringing" them out with a multi-meter with a continutiy check ( the symbol looks like an arrow pointing at a vertical line or a plus sign ). Pick a pair and check with test leads on the meter to match them up (holding both ends of the cable together, put one test lead on one wire and one test lead on the other end, testing each wire in turn until you get a reading). It's a little bit more work, but you can identify a each wire this way and place them in the appropriate postion. Two issues with my original post addressed pointed out by comments below: You must keep the pairs in the proper relationship to one another and conforming to wiring standards and good practice. @Ron has pointed out this answer was unclear (Thanks!). It's VITALLY important to keep the pairs together as per standard. The reason this is so important is because using a pair of wires twisted together to carry a signal utilizes the electrical properties of the wire to improve signal strength, reduce attenuation and destructive interference - it's a great trick to make crosstalk work to our advantage! The difference between CAT5 and CAT3 is the number of twists per inch ( three vs. five, unsurprisingly ). 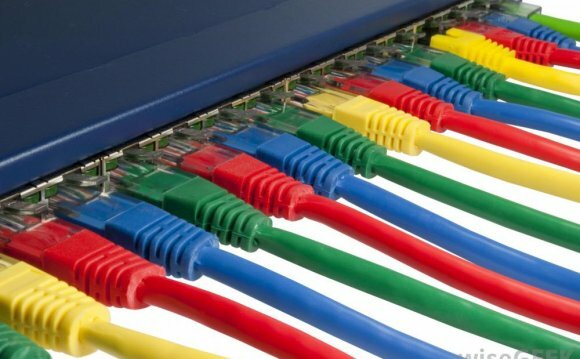 CAT3 is not rated for speeds over 10Mbps and as a result is mostly seen as legacy POTS/PBX cable, whereas CAT5 is rated up to 100Mbps ( and years ago replaced CAT3 for pretty much all uses ). CAT5e has a plastic core that keeps the pairs twisted evenly in the cable related to one another and is rated up to 1000Mbps. ( @YLearn pointed out this is not the case - CAT5e and CAT6 do NOT require a spline, however some manufacturers used this as a strategy in production of cables ) You can see that the same basic electrical wiring sees an order of magnitude performance improvement just based increasing the twist of each pair and another order of magnitude based on the way the pairs are twisted together. Another poster ( @Jordan Head ) correctly pointed out that while this is a great learning exercise or as an emergency short-term production fix, it's very important to follow standards - no one wants to have to troubleshoot random wiring pinouts in the middle of the night when there is an outage. It's an added difficulty that should be avoided in production environments.